Frustratingly, too, we can also find ourselves able to build vivid memory pictures of events that occurred decades ago, but incapable of remembering what we had for breakfast. This is because the brain creates very different kinds of memories — and in mid-life some of our memory systems can become weaker than others. Senior moments? Forget them. Now it’s middle-aged muddle we must worry about. Scientists last week declared that our ability to remember everyday things such as names and numbers starts to go at the tender age of 45. But before you resign yourself to spending the second half of your life as a mental basket-case, there is positive scientific news, too. Last week’s study of more than 7,000 Whitehall civil servants revealed how our power of recall starts to decline earlier than previously thought. Men and women suffered the same 3.6 per cent loss in memory power between the ages of 45 and 49, revealed the ten-year study published online in the British Medical Journal. Fears about age-related memory loss are hardly new. 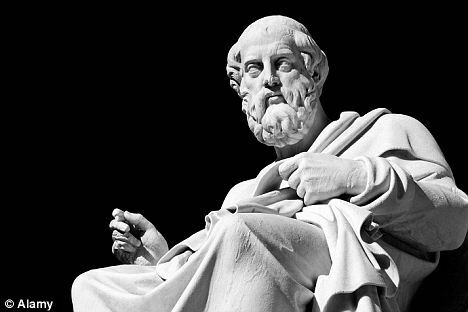 Plato wrote that when a man grows old, he ‘can no more learn much than he can run much’. But evidence of problems in mid-life is worrying because these may be the first signs of a condition called Mild Cognitive Impairment (MCI). This is an accelerated loss of memory power that can, in about half of cases, turn out to be the first early sign of Alzheimer’s. Scientists believe that Alzheimer’s can begin in the brain two or three decades before serious symptoms appear. Struggle to get out of your chair? Puffed-out on the stairs? Could you be growing old before your time? Regardless of our Alzheimer’s risk, though, we all seem to suffer some loss of mental capacity from a comparatively young age. Studies show that the processing speed in our brains slows down from our 20s onwards. ‘By mid-life, most of our brains show some fraying around the edges,’ says Barbara Strauch, author of The Secret Life Of The Grown-Up Brain. ‘People’s names are often the first edge to go ragged,’ she adds. ‘But the names are not technically gone. For the most part, it’s a problem of retrieval, not storage.’ This difficulty is not caused by a simple loss of brain cells. Scientists used to think that we lost 30 per cent of our brain cells through ageing. But recent studies show that the loss is much smaller. Instead, advancing years can bring a drop in the levels of chemical messengers in our brain — called neurotransmitters. As a result, memory-power can drop, and we can also find ourselves getting distracted more easily. Research shows that much of what we learn is not missing; it just gets misplaced. Hence that frustrating sense of ‘it’s in there somewhere,’ when names, facts and figures elude our grasp. —– So how does your memory work? There are several memory systems at work in the brain. One memory system comes into operation if you try to remember a place name or a phone number. Remembering things that can be expressed in language is called ‘explicit’ memory. Another memory system covers things of which you may not be consciously aware, such as how to ride a bicycle. That is called ‘implicit’ memory. There is also short-term or ‘working’ memory and long-term memory. Short-term memory would be remembering a phone number for five minutes; long-term involves recalling it in a year’s time. Such differences in memory types are all too familiar to Joshua Foer, an American writer and international memory champion who has honed his immediate short-term memory so well that he can recall details such as the order of a newly shuffled deck of cards. But he admits memories that require a little more longevity are more problematic: only a few nights after he won the annual US Memory Championships in 2006, he forgot that he had driven his car into town to eat dinner. He took a train home instead. 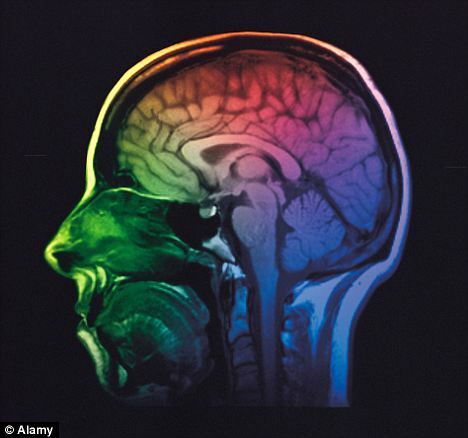 Short-term and long-term memories are stored in different parts of the brain. A structure in the brain called the hippocampus is key to short-term memory. This area normally grows new brain cells throughout our lives, and is responsible for processing information and retrieving it. It is one of the major areas that are damaged by Alzheimer’s, which is why short-term memory is one of the first casualties of the disease. Long-term memory involves many disparate parts around the brain, which are called ‘association cortices’. One current theory of memory is that the hippocampus forms short-term memories and then squirrels some of them away for long-term storage in various cupboards — the association cortices. But we don’t yet know how the brain does this. In fact, scientists remain unsure about many details of how memories are stored and formed. Mystery also surrounds the question of how we can remember events happening in the right sequence. Recent studies have shown, however, that an area of the brain called the medial temporal lobe is crucial to recalling events correctly: people who have suffered damage to this area through strokes have trouble remembering the plots of films or even personal anecdotes in the right order. —– Senior moment – or something worse? 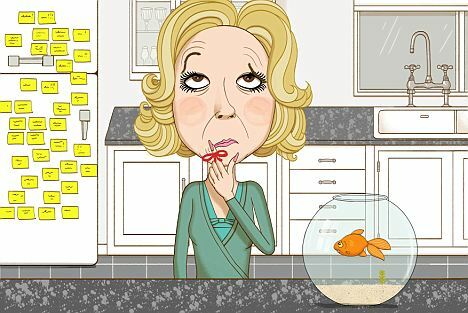 In normal age-related memory loss, short-term recall is usually most affected. In moderation, this is quite healthy. It is also natural to worry that such mid-life forgetfulness is a harbinger of something more sinister, such as dementia. The ‘aha!’ test can indicate if you should be concerned. If you forget a word temporarily, but feel that it is on the tip of your tongue, and finally recall it with a sense of ‘Aha! That’s it,’ then your reaction is healthy. This does not tend to happen with conditions such as Alzheimer’s, where people lose that sense of recognition when a memory is right. Growing older is not the only reason that our memory power may dwindle. Our ability to remember things can also be afflicted by our lifestyles. One common problem may be stress. Studies show that quick bursts of stressful excitement can actually benefit our memory — perhaps because our brains evolved to rally their best resources when faced with an immediate threat such as a tiger in the grass. But long-term chronic stress, the sort that can grind into us with the constant demands of busy modern life, can damage our brain’s ability form new memories. This is because constant high levels of the stress hormone, cortisol, can damage the hippocampus. Being soaked in cortisol dramatically reduces the ability of the hippocampus to produce new cells. This is linked to significant problems with concentration and memory, says research by the Stanford University scientist Robert Sapolsky. Such difficulties can be increased because, ironically, in stressful situations we often depend more on memory for recalling certain things to help guide us through the problem. —– Does modern life make us forget? More and more people are anxiously consulting medical experts about ‘problems’ with their memory, in fear that they have early signs of dementia, according to Michael Saling, a neuropsychologist at Melbourne University. But, he says, they are often just suffering from a problem that psychologists have labelled ‘security protection code overload’. Put simply, the worried patients feel mentally overwhelmed by all the numbers, codes and operating systems that they have to know in order simply to function in a computer-dominated environment. 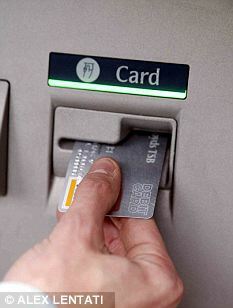 That can lead to the common experience of ‘PIN-number amnesia’, where you find yourself standing in front of a cash machine, your mind a fearful blank, with an impatient queue forming behind you. Stresses and strains aside, modern life has good news for middle-aged brains. Neuroscientists have recently begun to discover how the mid-life brain, rather than giving up, instead reconfigures itself in order to cope. As researchers at Duke University, North Carolina, and elsewhere have found, people in middle age begin to use two sides of their brains where previously only one might have been employed on a task. Commenting on this research, Barbara Strauch explains that as we age, the two sides of our brains become more intertwined, letting us see bigger patterns and think more broadly. Science may even have witnessed how ‘middle-aged wisdom’ grows in the brain. It used to be thought that the brain steadily lost myelin with age. Myelin is the white-matter fatty coating of neurons which makes the connections in the brain work well by enabling electrical signals to travel through the brain quickly and efficiently — rather like the insulation on electronic wires. When myelin withers, we may forget the names of people we’ve just met, or details of how to get to a new address. New research shows that in mid-life, most of the myelin loss occurs in parts of the brain responsible for learning new things. The parts responsible for long-term memory show no such loss. That would account for why we have trouble with new memories as we age, but not with our core knowledge. And something else has been found to happen — the level of myelin around people’s brains can continue to grow late into middle age. Harvard University scientists who have witnessed this say that it may be a physical sign of the growth of ‘middle-aged wisdom’, where accumulated knowledge is being collated and networked more efficiently by the white matter. Fortunately, health researchers believe there are ways in which we can significantly help to preserve our memory in later life. The key is to stave off the sort of physical decline that can lead to mental decline and dementia. Dr Anne Corbett, of the Alzheimer’s Society, says: ‘Preventing dementia is all about everyday healthy living. The human brain is the most complex piece of thinking equipment that has ever evolved. Your body is the life-support system for this very hungry piece of grey matter. While your brain constitutes only about 2 per cent of your body’s mass, it uses more than a fifth of its energy production. Efficient supply and maintenance are vital. If your physical health declines, your brain — and its sophisticated systems of memory — are at serious risk of following suit. Just taking a little more daily exercise could make a huge difference for millions of people. ‘More than 13 studies show that exercise can reduce risk by up to 45 per cent,’ says Corbett. ‘Evidence shows that the exercise does not have to be strenuous to have this benefit: it can involve active walking for around 30 minutes a day, three times a week. ‘Exercising’ your brain with expensive computerised ‘brain-training games’ will not provide any real benefit, though, says Dr Corbett. Studies show that you may get better at playing the games themselves, but the benefits go no farther, she explains. It is the same with crosswords and Sudoko. They should be enjoyed for themselves, rather than taken as a substitute for a healthy diet and exercise. And beware any claim about how any single food can boost your memory, says Corbett. 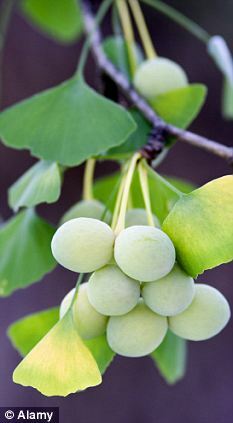 Only last year, an important report in the Journal of the American Medical Association punctured the idea that the herbal supplement ginkgo biloba is a brain-saver. The study of more than 3,000 adults found that it made no difference at all. Adopting broader healthy-eating habits can, however, significantly reduce the risk of dementia. A range of studies indicates that Mediterranean-style diets work best, as they are low in fat and salt and high in oily fish. Avoiding junk food can have real benefits, too. A study last month in the respected journal Neurology found people with junk diets high in complex ‘trans-fats’ are more likely to experience the kind of brain shrinkage associated with Alzheimer’s than those who consume less of the artery-damaging fats. There is another compelling reason why healthy eating can boost your memory: it helps to keep your weight in trim. People who are obese in middle age are 74 per cent more likely to develop dementia compared with those of normal weight, according to a 27-year study of more than 10,000 men and women in the British Medical Journal. Laboratory studies conducted by the National Institute of Environmental Health Sciences have found that caffeine strengthens brain connections. Drinking two cups of coffee a day appears to boost electrical activity between neurons in the hippocampus. The scientists say stronger connectivity means better learning and memory. No matter how good our powers of memory, they can all be fooled. Because, whatever our age, memory is a slippery thing that can be grossly misleading. A survey of 1,500 people last August by the University of Illinois found that most of us think that human memory is as reliable as a video camera that records information precisely. Moreover, around half of us think that our memories never change. But scientific research shows the opposite is true. Even our most closely held recollections can completely change without us noticing. Researchers who study how people remember momentous events have discovered that although people will swear faithfully that they remember exactly what they were doing when they first heard news of the event, their memory is wrong in about a third of cases. John Seamon, a professor of psychology and neuroscience at Wesleyan University, Connecticut, has studied this phenomenon and says that, oddly, it is possible that the more frequently we recall an event, the less accurately we remember it. His research suggests that when we use our minds to recall a particular memory, we do not go back to the event itself, but rather to the last time we remembered it. Each recollection adds new flaws and reinforces previous flaws. Eventually, we settle on a version that we subsequently consider to be gospel truth. ‘This is not done on a conscious level,’ Seamon believes. ‘But people are figuring out: “Where was I? After about a year of doing this, he says, the memory — including the false elements — solidifies and becomes the person’s constant ‘truth’.